How does the law deal with young offenders, and to what extent does the law protect and promote the rights of young people in conflict with the law? These are the central issues addressed by Young Offenders and the Law in its examination of the legal response to the phenomenon of youth offending, and the contemporary forces that shape the law. This book develops the reader’s understanding of the sociological, criminological, historical, political, and philosophical approaches to youth offending in England and Wales, and also presents a comparative review of developments in other jurisdictions. It provides a comprehensive critical analysis of the legislative and policy framework currently governing the operation of the youth justice system in England and Wales, and evaluates the response of the legal system in light of modern legislative framework and international best practice. All aspects of trial and pre-trial procedure affecting young offenders are covered, including: the age of criminal responsibility, police powers, trial procedure, together with the full range of detention facilities and non-custodial options. 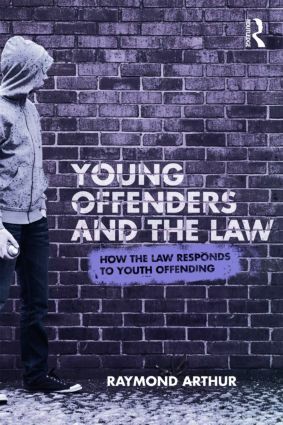 Young Offenders and the Law provides, for the first time, a primary source of reference on youth offending. It is an essential text for undergraduate and postgraduate students of Law, Criminology, and Criminal Justice Studies.